Published on July 31, 2014 in Art, athletes, Award, Competition and Game On Challenge. Closed Tags: athletes' village art competition. 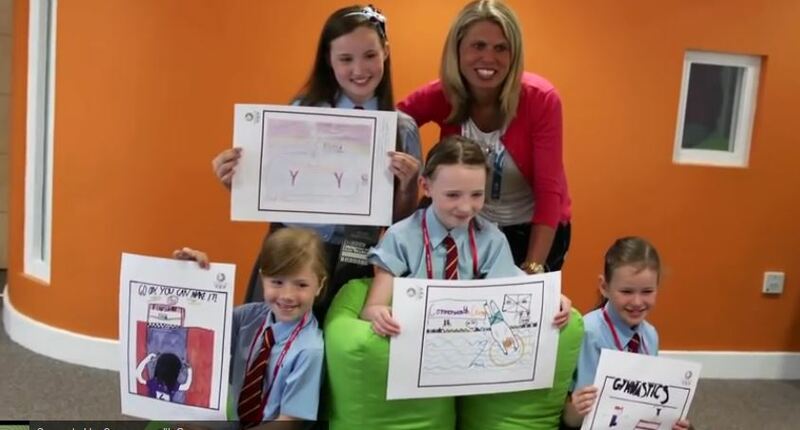 View this YouTube video, where Caroline Rogers, the Athletes’ Village Accommodation Manager, introduces some of the pupils who entered the Athletes’ Village Poster Competition. You also find a selection of posters and related information on our website here. Published on July 30, 2014 in athletes, Equality and Inclusion, Expressive Arts and Glasgow 2014. Closed Tags: athletes, culture, partnership, performance. This series of films captures the thoughts, journeys and emotions of the athletes Libby Clegg, Michael Jamieson, Jessica Ennis, Lizzie Armistead and others as a testimony of their endeavour, determination, discipline and persistence often against all the odds. The films allow the audience to look behind the scenes to discover what drives these athletes to be the very best they can be. Small testimonies of the greatness that lies dormant within every human being! Published on July 30, 2014 in Games Legacy. Closed Tags: share. The Guardian newspaper has created a webpage for people to share their experiences as well as their vision on the impact of the Games for Scotland. Published on July 30, 2014 in Engineering, Technologies and Uncategorized. Closed Tags: ICE map. The Institution of Civil Engineers (ICE) have created a venues map showing information about engineering challenges associated with preparing for the Commonwealth Games and also tells the stories of the engineers involved. This map explores the engineering and design challenges faced in creating some of the venues including the Hydro, Emirates Arena, the Velodrome and the Athletes’ Village. The map explains how engineers have tried to ensure the 2014 Games are the most sustainable and green games ever, organised safe, secure, reliable and accessible transport and the measures taken to protect wildlife and plant species during the engineering and building work. It also contains links to relevant websites, ‘Did you know?’ facts and activity ideas for all age ranges and can be used as a teaching resource for numerous curricular areas including Social Studies, Numeracy, ICT, Science and Technologies. To order printed copies of the map for your class, please complete the form on SurveyMonkey website. Published on July 30, 2014 in Games Legacy, Glasgow 2014, Legacy 2014, Team Scotland and Uncategorized. Closed Tags: Commonwealth Games Scotland, Glasgow 2014. Just over half way through the biggest multi sporting event every hosted in Scotland the atmosphere in Glasgow as well as other Games and cultural venues is electric and the excitement has reached the hearts and minds of people across all walks of life. With five exciting competition days still ahead, Team Scotland have already surpassed their previous record of 33 medals won at the Commonwealth Games in Edinburgh in 1986. Some wonderful moments have resulted from the Scottish success with the men’s gymnastics team winning silver, Libby Clegg become the first Scottish track and field athlete to win Gold for over 20 years, Erraid Davies becoming the youngest competitor ever to win a medal and of course the look of disbelief on Ross Murdoch’s face after having won Gold in the 200m breaststroke. Game On Scotland is particularly delighted for judo gold medallists Louise and Kimberley Renicks, who participated in the our Athlete Visits programme, fitting in a number of school appearances in between training sessions prior to the Games to inspire young people across Scotland. Thank you to both of them! Many records have been broken over the last 6 days and Game On Scotland is delighted to say that we ourselves have surpassed many of our own targets and expectations after engaging schools, learners and teachers across the world in wider range of learning opportunities connection with over 1 million learners. Our website is the most successful free standing website produced by Education Scotland, receiving over 1.25 million views from over 200,000 unique users since its launch in 2013. It also saw 4,300 people register for regular updates and an estimated 100,000 downloads of teaching materials equating to 1 in every 2 visitors to the site downloading free educational resources. In the new session Game On Scotland will continue provide opportunities to engage learners by continuing with our athlete visits programme, sharing of case studies, awarding Game On Plaques and offing a number of Glow Meet sessions for learners to speak to those at the heart of the Games. to pass on or suggestions to make. If you wish to find out about the latest opportunities around Game On Scotland make sure you register with us to receive our regular e-updates. 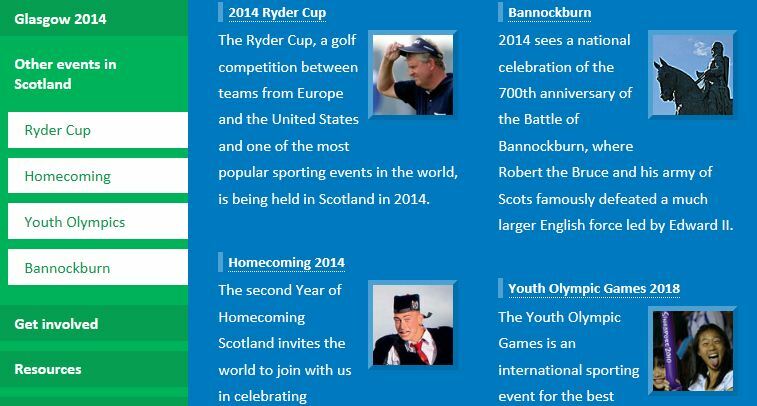 Published on July 3, 2014 in Active, Culture 2014, event and Glasgow 2014. Closed Tags: dance, Glasgow 2014, international, Queen's Baton Relay, tickets. Gather with Scotland’s refugee communities to re-imagine the traditional Scottish Céilidh and discover what ‘welcome’ means in Scotland today, with music, dance and song. Please see attached flyer for more details. Aberdeen International Youth Festival are looking to recruit young people from across the North-East, with varying levels of experience, who will work with internationally renowned choreographer and community dance leader Royston Maldoom, former Artistic Director of Scottish Dance Theatre Tamara McLorg, and selected Scottish dance artists. You will then work intensively for a fortnight to create a new dance piece and perform at His Majesty’s Theatre, Aberdeen. You’ll also be part of a commissioned documentary film. Must be available on July 7 to 11, and July 14 to 20, 2014. Performances are on 20 July at 5pm and 7.30pm. The deadline to sign up is today (Thursday 3 July). .
Find out what is available at each venue and how to book here. Residents of Moray will today, Thursday 3 July, welcome the Queen’s Baton as it travels through the local authority during its journey across the length and breadth of Scotland, with a range of extraordinary batonbearers preparing to take part in the Glasgow 2014 Commonwealth Games’ Queen’s Baton Relay. The Queen’s Baton will begin its journey through Moray in Buckie, and will travel across the full expanse of the local authority, passing through towns and villages including Cullen, Fochabers, Lossiemouth, Kinloss, Forres and Elgin. Tomorrow the baton will travel through Perth & Kinross, starting with a free community Breakfast in Rothes. Find out where you can join in here. The ambition of the Digital Commonwealth project is to enhance the capacity of individuals and groups to use freely available mobile digital (and social) media tools and techniques to ensure their voices are heard in a saturated (and often commercially) motivated media landscape. The Digital Commonwealth team have been busy reporting on events around the Queen’s Baton Relay and will be doing some more work with communities throughout Scotland. Find out more and visit the website here. Glasgow’s Hampden Park welcomes 47 Olympic, Paralympic and World Champions this weekend for the prestigious IAAF Diamond League event, bringing together the best athletic field ever seen in Scotland. The event will guarantee to get your heart racing with show-stopping performances on the track and field. 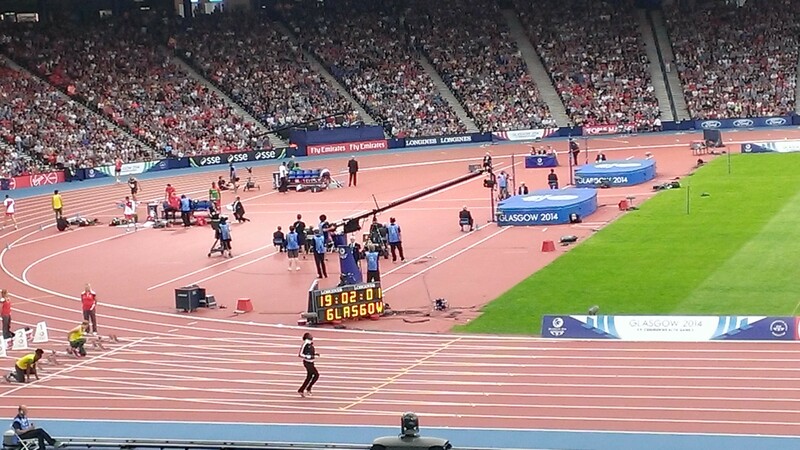 As a Glasgow 2014 supporter you can take advantage of a fantastic £10.00 ticket offer! Watch the double Olympic and world champion Mo Farah return to the track along with the likes of Christine Ohuruogu, Greg Rutherford, Yohan Blake, Shelly-Ann Fraser-Pryce, David Rudisha and home favourites Eilidh Child, Eilish McColgan, Lynsey Sharp, Laura Muir and Chris O’Hare.